The class, which opened in 1988, aims to approach all the different aspects of this many-faceted instrument. This is why the repertoire begins with the Renaissance and includes the consort, which is also taught on a weekly basis. Considerable attention is paid to the vast baroque period, which saw the development of many varieties of solo or ‘obligato’ writing. This involves touching on the styles and techniques of many different countries in Europe and sometimes beyond. Contemporary music is a welcome guest, making collaboration possible on occasion with the student composers within the conservatory. The class also meets with the dance department from time to time, usually with the contemporary dance section, for improvisation workshops where participants are free to follow their imagination. Students have access to the following instruments, which belong to the conservatory: a quartet of Renaissance viols, a baroque septet, a violone, a seven-string baroque viol and a lirone. Also available are four vielles, which are used mainly in Pierre Hamon’s ensemble sessions and on specific occasions for master-classes. I have always taken a lively interest in teaching; the experience I have been lucky enough to develop, teaching in many different music schools, has made me increasingly aware of how very important it is to pass on one’s knowledge. The Conservatoire in Cergy-Pontoise, the Centre d’Etudes pour la Musique Ancienne and the Conservatoire in Toulouse, the Conservatoire in Boulogne-Billancourt and, since 1988, the National Conservatory in Lyon have provided me with the opportunity to interact with many people, of all ages and skills, with equal pleasure. What I find interesting in teaching the viola da gamba is of course the music, but even more fascinating are the individual students, different as they are, and as they remain. That is why I find my role and activity as a teacher to be so endlessly captivating and never repetitive. In France, we have been lucky in the sense that we have encountered no barriers to starting to teach children from as young an age as five or six. 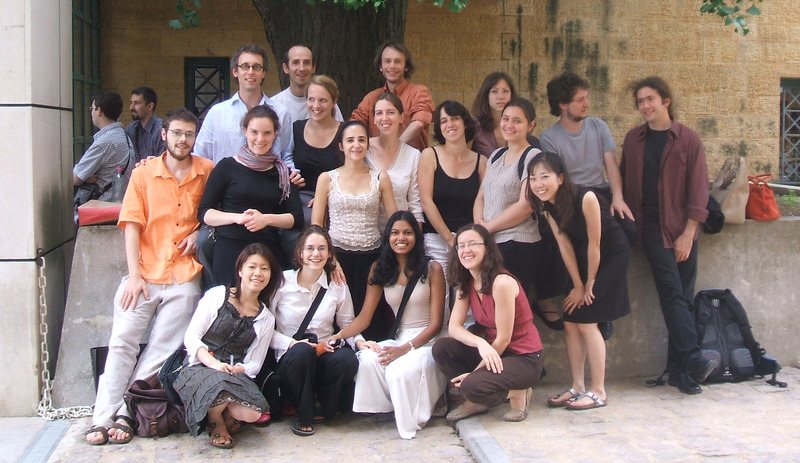 These students are now young adults to whom early music feels natural and who are entirely familiar with the viol. But international experiences are no less fascinating. To see a self-taught young musician arrive from abroad, sometimes from halfway across the world, hoping to discover how to pursue what they have already started to imagine, is something of a gift for a teacher. The mingling of different cultures within the Conservatory in Lyon, in particular, obviously enriches the class, as well as the entire department, and this eventually spreads to the whole school. 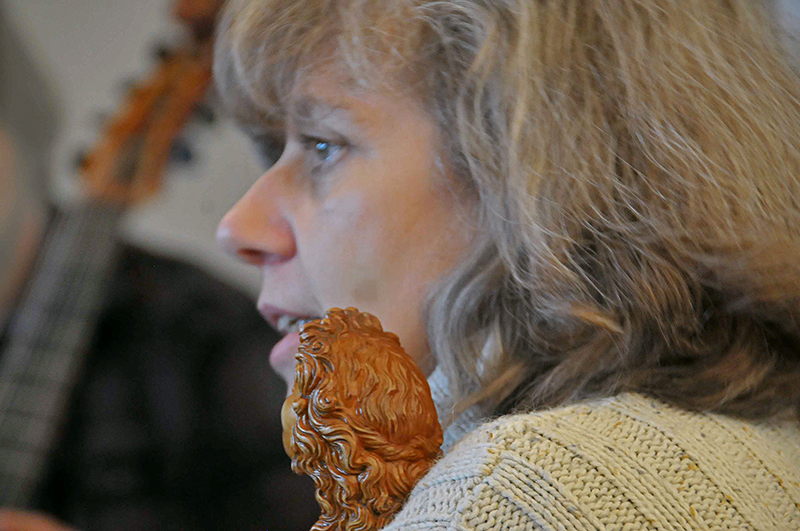 Training courses, academies and master-classes, be they in Barbastre, Jerusalem, Saintes, Mexico City, Los Angeles, Sablé, Juiz de Fora, Bremen or Nice, continue to draw viol-players who are as curious and diverse as ever. he viola da gamba is one of those instruments that induce a highly asymmetrical posture. I have always paid attention to this and focused on finding a balanced position, one that will allow muscles to relax, which in turn allows greater freedom of movement and, as a consequence, also frees the imagination to blossom and flourish. For imagination is necessary, as is a fine-tuned ear in order to discriminate between different repertoires by adapting one’s performance, without losing one’s personality. The three centuries of music spanned by the viol, not to mention contemporary composers, require detailed knowledge of every period and country. See on Youtube a video of International Summer Academy of Nice.